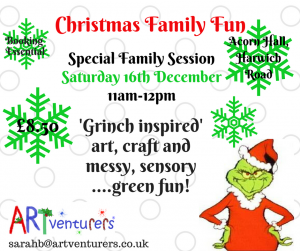 Come along and join in the fun at Artventurers Colchester! 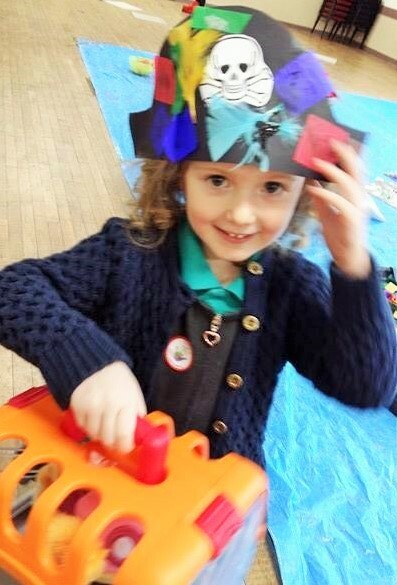 We run colourful, creative (often messy!) 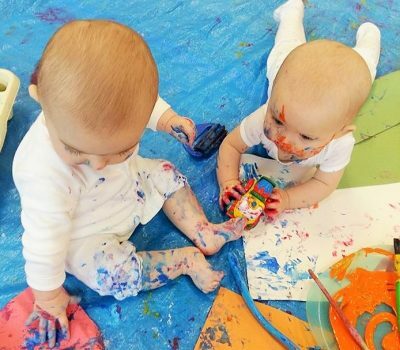 art, craft and creative play sessions for babies, toddlers and children during the week in Colchester as well as holiday classes and workshops, fantastic creative birthday parties, after school clubs and other events for children of all ages! Hello! 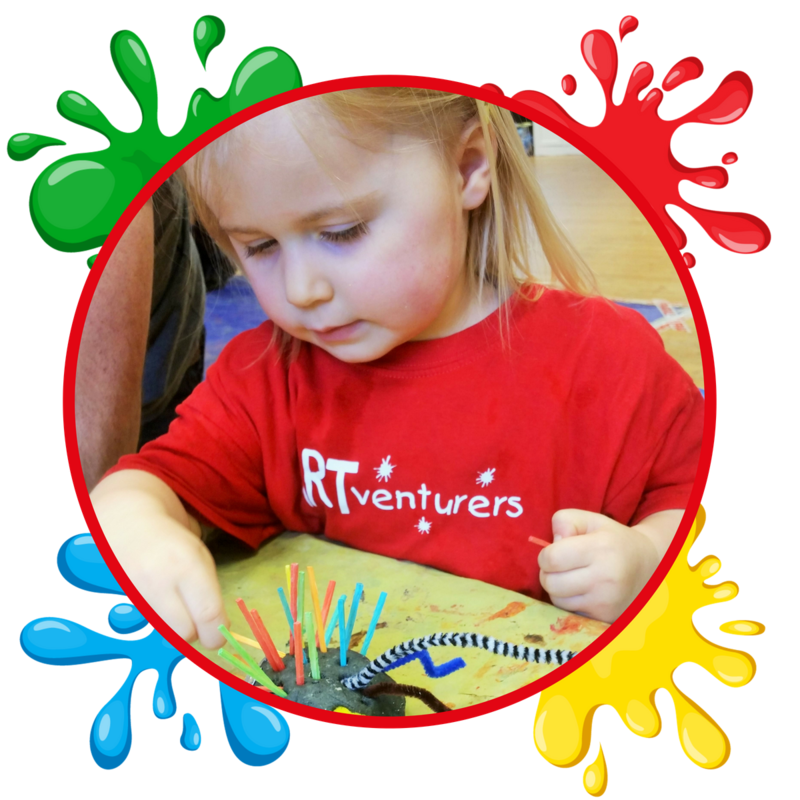 I’m Sarah and I’m delighted to run the award winning ARTventurers baby and toddler classes to Colchester and surrounding areas. 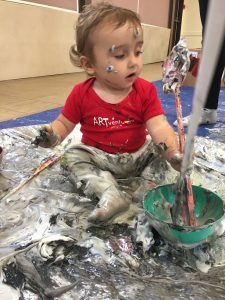 I run Baby and Little ARTventurers classes as well as creative birthday parties, holiday sessions, events and workshops. I’m mum to my not so little ARTventurer Alicia who’s now 20yr old but whom as a child, inspired me to want to work in education. 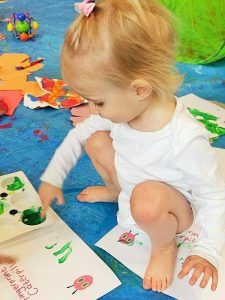 You can visit the About Me page to find out more about me and Book a Class to see where our baby and toddler classes are running in the Colchester area! Having Fun at ARTventurers Colchester! Top 5 Tips for Painting at Home! 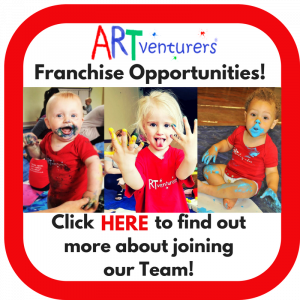 Introducing your little artist to paint at home the ARTventurers way! 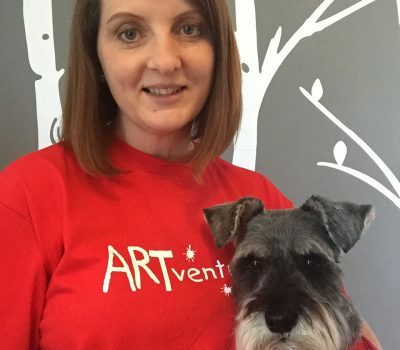 There are 5 tips and a bit of inspiration from the ARTventurers team. 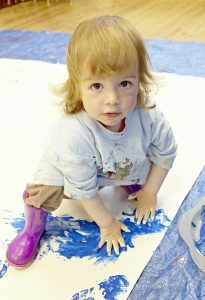 Tips that you can use at home to get creative with paint with your little ones! 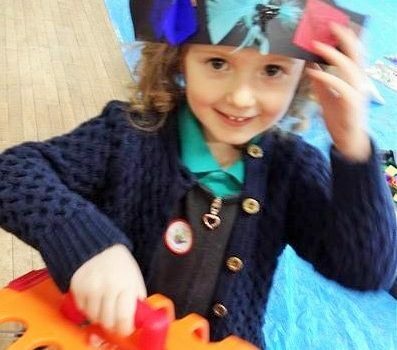 There are loads of benefits to letting children be creative with art from a young age, and these tips will help them do so! Do you remember those old rolls of lining paper or leftover sheets of wallpaper that are stuck in the garage or loft gathering dust? Bring them out! These types of materials are ideal for covering your floor with and letting your little ones loose on. They’re easy to bin afterwards or even stick up on the wall to display the masterpieces and are a lot more fun to work with than small A4 sheets! Make sure the paint is non-toxic and suitable for use! Obviously, your child’s safety comes before keeping your house clean and tidy! So before you all get messy at home, ensure you know the paint being used is safe for use with small children. You can even try and mix it up with edible paint from cornflour. We all know how much young ones want to put everything in their mouth! There are plenty of recipes online about how to make edible paint, so be sure to check them out. Be prepared for the inevitable mess! Cover your surfaces and floors with something easy to wipe down or bin, like an old shower curtain or plastic tablecloth! This protects your lovely house from getting covered in paint, but also allows young children the freedom to move about and be really creative with their whole body instead of sitting at a table. Stripping your little one down to a nappy also means less washing too as you can just plonk them straight in the bath! 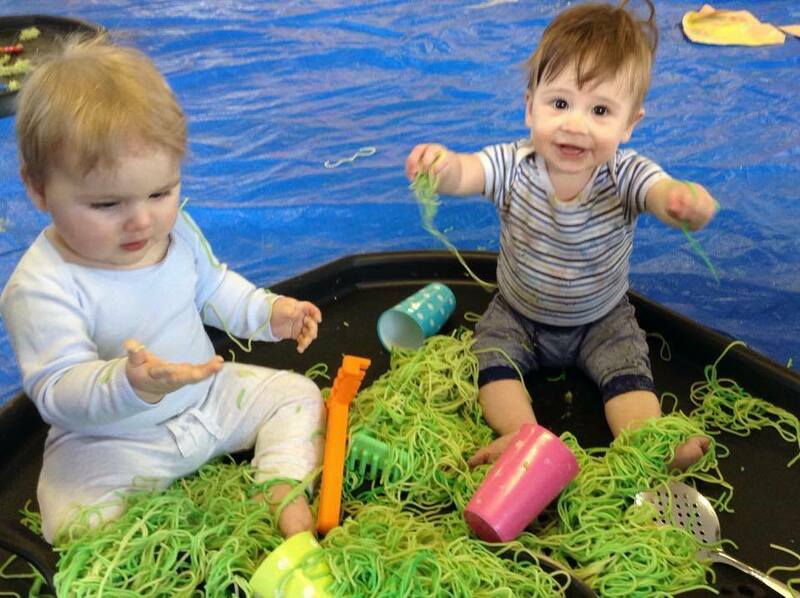 Join in and get MESSY too! 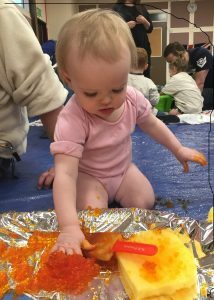 Babies and toddlers learn from watching other people, so if they see you getting involved and covered in paint too, they will be curious and copy you! Who knows, you may enjoy it too? 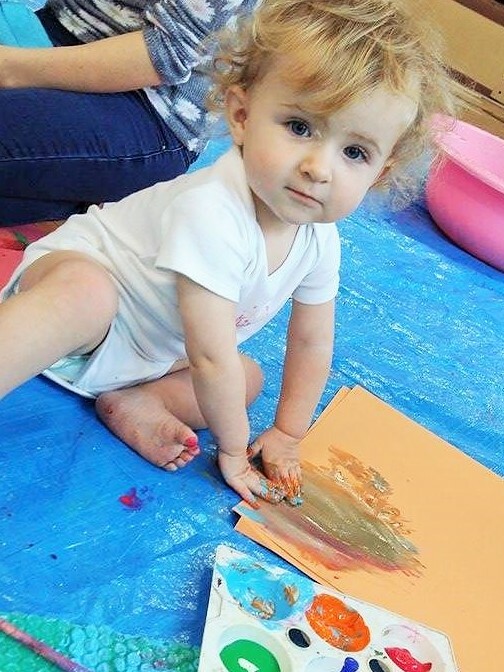 If the thought of letting your little one loose at home with paint still frightens you, let an ARTventurers Family Session take the stress and worries away for you! Bee sure to come along! See you soon! Welcome to another sparkly and colourful ARTventurers year! Have you returned to doing the school run yet? Back at work? Had to do the first online food shop for REAL food? Well, I have to say I found it so hard getting up early this morning following all the festivities and events of Christmas and New Year. Thankfully, my lovely niece pulled through a terrifying health scare to do with her heart which had us all on our toes back and forth to the hospital over the whole of Christmas. Such wonderful staff that made us all feel very welcome and looked after Ellie so well, especially when we had to go home every night and leave her there. The hardest part now is the emptiness of the house, now that my family are back to uni and work today too. 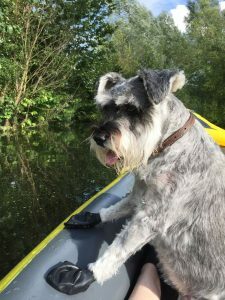 Our beloved Mini Schnauzer and best pal Sam died suddenly on December 15th, aged only 8 years. He passed away the night before our ARTventurers Christmas Grinch Party, which was very difficult to find the strength for overnight until I saw all those smiling, excited children on the day which lifted me and my husband (helping me that day) so much! Sam would have loved all the excitement, paint and glitter too! Needless to say, the tragedy left a huge, unexpected, gaping hole in our Christmas this year and we’ve had a candle lit ever since. 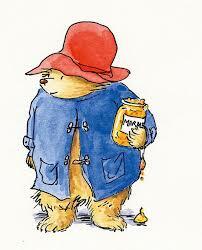 So, I’m really looking forward to running the family ARTventurers classes this year, starting with a ‘Paddington inspired’ session followed by… well, I think I’ll let you decide that! I’ve heard some of my ARTventurers colleagues talking about ‘The Highway Rat’ as a theme (loved watching that over Christmas) and I think a dinosaur session should feature somewhere during the year! Getting booked up and ready for parties too with a lovely ‘Gruffalo’ themed 1st birthday coming up in March which I’m a little bit excited by! Eek! So if you are thinking about parties, get booked up as weekend dates will soon be impossible to get! Sarah & ARTy Bear (and the cat… new office helper… kinda)..
Really looking forward to starting our monthly family classes in the new year! A brilliant opportunity for the whole family to get involved in some arts and crafts at the weekends. 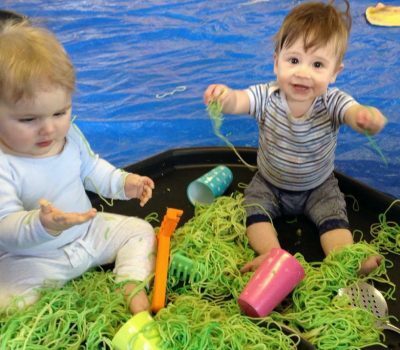 The sessions will be suitable for babies from 6 months to children aged approx 7 years. We’re back at Acorn Hall, Harwich Road, Colchester. We love this venue as its a big space with kitchen, free parking, baby changing and a little play park just outside the door! 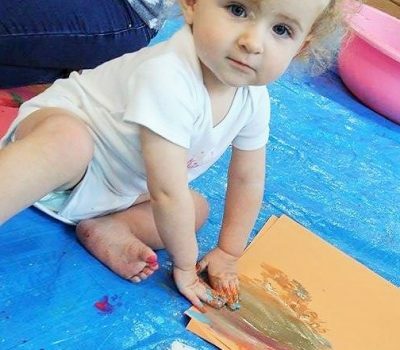 It’s 3pm-4pm, so a little later in the day than previous classes held there but we are hoping it will popular as it means you can get all your shopping done in the morning and then let loose with the creativity and family time in the afternoon! Well, What a wonderful evening we had on Monday night! Wivenhoe House Hotel was beautifully decorated and were wonderful hosts, making us feel very special indeed! 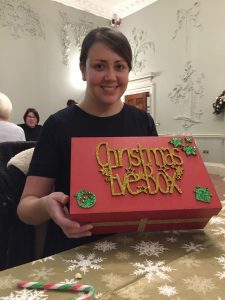 We spent the full 3 hours, painting and decorating our special Christmas Eve boxes. Of course, no grown up workshop was complete without Prosecco and canapes, though some of us might have had more than one glass! 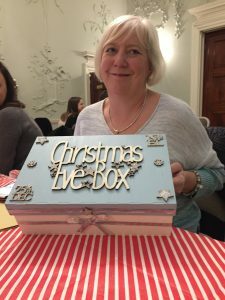 What I liked was that each box had a different design in mind, from colours of paint, to layout of wooden embellishments, ribbon and glitter. Each box was pre-prepped on the inside with white paint and I added a gold rim on the box and lid to save time on the evening. I think I’m safe to say that the ladies were very pleased with the final result. I hope you’ll agree that they all looked fab, some with a real ‘elf like’ feel to them with the red, green and gold! We also had time to have a few selfies with the giant Christmas tree in the hotel lobby and admire the incredible gingerbread ‘Wivenhoe House’ creation from the hotel’s very talented chef Louise. It was a lovely excuse for an evening to catch up with friends and family and made to feel really special. Can’t wait to see what everyone’s going to be putting in their boxes. What’s in mine? Well, I think chocolate, gin, christmas DVD classic ‘White Christmas’, christmas penguin socks, special bird decoration for the tree for loved one’s passed, playing cards, mince pies, Buble CD and toasting marshmallows ! 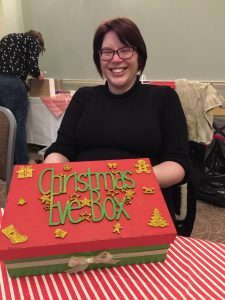 Lucky for me, I have another Christmas Eve box event at a friends house in a few weeks time… so I get to see even more glitter and make a box for my fabulous sister (don’t tell her..shhh)! Yay! Im sure we will be repeating this next year, so watch out nearer the time for the event on the website or on my Facebook page. Really looking forward to our workshop at Frankie and Benny’s, Tollgate on Tuesday 12th December 4pm-5pm. 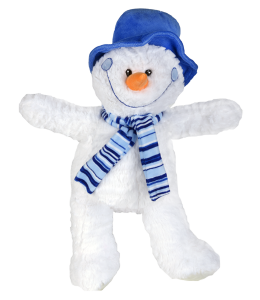 We have the softest snowmen ready for building and cuddling. The workshop should approx 1 hour and then the children can stay to eat (as part of the ticket price). With the new ‘Olaf the Snowman’ film coming out.. what better way to celebrate by building your own frozen friend to give warm hugs to over the festive period. 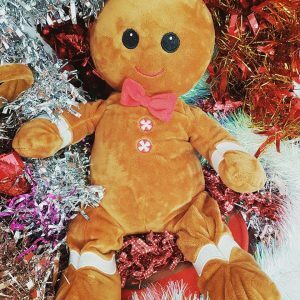 Ticket price is £17.95 which includes a 16″ snowman, complete with wishing heart, birth certificate, carry home bag and a take home cone of snowman soup! Hope to see you there! Really looking forward to building this cute little fella, complete with a 3D foam gingerbread house too! We’ll be at Deja Brew Coffee Shop on Saturday 9th December. The workshop will last approximately 1 hour (3 pm – 4 pm), then after, you can relax in the cafe whilst the kids have their evening tea of sandwich, cake and a drink! So no cooking when you get home! 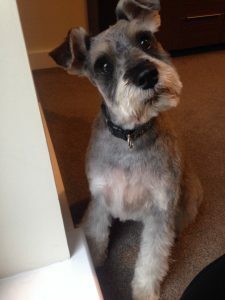 I definitely want to give one of these little fellas a forever home… look at that smiling face! Dont miss out on this special family session. Baby/Little classes new term starts next week! 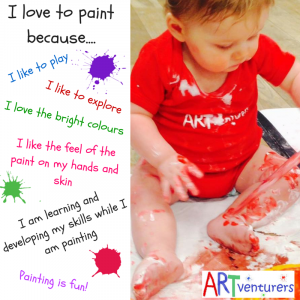 “We love to paint at Baby ARTventurers and here’s why! Welcome to ARTventurers Colchester! We’ll be bringing you a range of art and messy play classes for babies and young children and can’t wait for you to join us! Sign Up To Our Newsletter and receive a FREE ebook”Top 10 Painting Ideas!”! Copyright © 2019 ARTventurers Colchester. All rights reserved.